Sabtang is an island municipality situated at 15 kilometers southwest of Basco. It can be reached by a 30 minute ride in a jeepney from the Provincial Capital, Basco to San Vicente Port or Radiwan Port of Ivana and another 30-40 minute ride in a motorized banca locally known as Faluwa. Coming to Sabtang is not just an experience but an adventure. One may not find here the conveniences in the city but the experience to this little haven of the north is more than the price it takes. It is best enjoyed at least with an overnight stay. 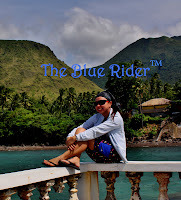 This is the closest you can get to experience the Old Batanes. According to the locals, the waves in Sabtang is more frightening and turbulent than the ones in Itbayat coz this is truly where the Pacific Ocean and South China Sea clashes. I think we’re lucky enough that day, it was a smooth ride. We were greeted by the welcoming smile of our guide, Kuya Jun in his unique tricycle service for our tour. The materials used for its sidecar is not metal nor rubber, it’s mainly made up of branches of trees and dried coconut leaves. This gave us a fresh feeling during our entire trip. We’re not able to leave on time though as the girls took some photos with Kuya Jun’s tricycle. Packed with smiles, we are now ready to explore Sabtang Island and experience the laid back Ivatan culture. As we arrived in Sabtang Island, we first went to their tourism center where we registered. Visitors must pay an environmental fee that costs PHP 200. You can also take a restroom break here before your Sabtang tour starts. The next series of pictures and spots will be the typical inclusions in a Sabtang Day tour. Some may start on the other side and have our first spot as the last. Our official first stop is Morong Beach where you can find the “Ahaw/Ahao” (Arc-like Cave). This is one of the iconic and most photographed spots in Batanes because of its rock formation in a beach cove. This place is an ideal site for picnic, camping and swimming. Yes, I am crazy. The shot above is taken from the top of the arch (hehehe!) another life threatening moves. I did ask the guides though if I can climb and they gave permission. I did not regret, the view from up here is truly breath taking. The next barrio, barangay Savidug with its native stone houses along the national road welcomes everyone with wonder. Where in this world would you find a place with native stone houses whose wall is more than a meter in thickness? You will see that for yourself when you come to Savidug. The Savidug Village experience will not be complete without tasting this one! (I forgot the name though) it’s glutinous and sweet. Paired with buko juice (goodluck tummy!) and introducing the Ilongga seller of these yummy treats. Some few kilometers away from the Stone Houses village is its Ijang. Nearly triangular shape hill less than 100 meters in height. This Ijang is a high rocky formation which has served as a fortress or refuge against attacking enemies of the Isabtangs in the early times. Another breath taking and picture perfect landscape and seascape is Chamantad-Tinyan Viewpoint. I think this is where took a longer stop because of it’s picturesque view, not to mention the costumes and the refreshment offered in this part of the tour. I personally enjoyed this place as well as the awesome feeling of wearing their Vakul. Looking at the land formation called “Susong Dalaga” hehehe! Few kilometers down Chamantad is another village of stone houses. It is called Chavayan. The home of the skilled vakul weavers and has been nominated to be a UNESCO World Heritage Site. it is surrounded by beach and mountain and the last part of the tour in this side of town. Between the two stone villages, we preferred to stay here. We have travelled 8 kilometers to reach Chavayan from the town center. It’s time to recharge and have a sumptuous lunch by the beach! We failed to eat coconut crab in Basco, so we filled in the curiosity by getting one here in Sabtang. ..the Php 350.00 worth of lunch with this view.. The serving is generous, your 350 will have Turmeric Rice (Yellow Rice), Vegetable, Fish, Pork/Beef and sweets for desert (in our case, we got Toron). We paid additional Php 400.00 for the coconut grab. Nothing much to tell and describe though, it’s not as delicious as I thought it is. It’s just worth tasting when you are in Batanes. This is our last baranggay stop,Sumnanga. Also known as the little hongkong ( I don’t know why) hehehe! From here, we can find Duvek Bay where remnants of Ivatan houses are being restored. The cove boasts pristine corals in Batanes. We also spotted some local fisherman just docked from fishing. Ivatans are honest and generous in nature. We experienced that one firsthand, I was just watching how they clean the fishes, in turn they gave as a bag full of fishes for dinner. Thank you very much!! We should be waiting for sunset in this area as this boasts a good spot to take the stunning setting sun but we have to go and spend it somewhere. While Kuya Jun is talking to his friend, we spotted one Ivatan and had a chance to some chitchating. Guess how young is this woman? She’s actually 90 years old, yet very strong and lively. She’s even carrying a 6 Liter water on her back. She told us how simple and contented Ivatans are. Tragic and hear-melting stories of typhoons trying to destroy this simple town. We may not have witnessed the sunset in Duvek Bay, but we found a perfect spot right up here. You can see all the 3 Islands from here: Basco, Itbayat and Vujos Island. After an hour of watching the sunset, we went back to Chavayan Village. This is where we will be spending the night, the Ivatan way. What’s for dinner? A commoner food – Lobster!!! Yes, this is their typical meal, oh come on. Delicious! ..and we’re back in Ivana..
A visit to Batanes will never be fulfilling without stepping into this island. It’s also incomplete without immersing oneself in the cradle of Ivatan culture and heritage. It’s old houses, narrow streets, and old sites will leave lasting memories. Thank you very much!